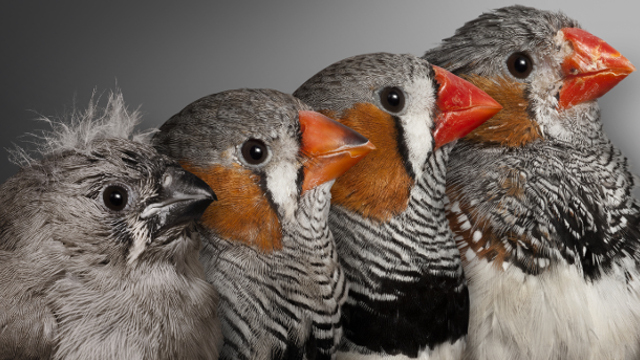 Young to old male zebra finches (left to right): nestling, young, middle age, and old.PAUL JEREM, UNIVERSITY OF GLASGOWResearchers have tried to dissect the effects of an older father on kids’ longevity. One study found that kids with older dads had longer telomeres, which may indicate better health and longer lifespan, while another observed that kids with older dads have an increased risk of psychiatric disorders. So far, there have been very few experimental studies in animals that directly test whether paternal age has an affect on offspring telomere length and lifespan. Now, a team of researchers shows that bird embryos sired from old zebra finch fathers have shorter telomeres compared to those with the same moms and younger fathers. The study, published today (March 14) in Proceedings of the Royal Society B, is among the first to address whether paternal age affects telomere length of offspring using an experimental approach. “The experimental design of this study looking at the effect of paternal age on telomere length of [zebra finch] embryos is particularly strong, allowing for confidence in these results,” writes Dan Eisenberg, an anthropologist at the University of Washington who studies the effects of paternal age on telomere length in humans and chimpanzees, in an email to The Scientist. Finches with older parents—mothers or fathers—had shorter lives, but the negative effect of an old father was much more pronounced. Jose Noguera, now at the University of Vigo, along with colleagues at the University of Glasgow, bred 32 middle-aged, female zebra finches first with both 16 four-month-old males and later with 16 four-year-old male birds. The team harvested the eggs, 139 in total, artificially incubated them for several days, then analyzed the telomere lengths of the embryos. The researchers chose zebra finches, in part, because the birds show “similarities to telomere dynamics in humans including the decline of telomere length with age and the influence of prenatal factors,” says Noguera. 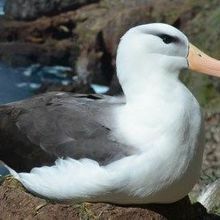 Because the birds are relatively short-lived, between five and eight years, Noguera and his colleagues could test the effects of paternal age on the lifespan of the birds. The zebra finch is also a good model to study what factors affect telomere length, according to Noguera, as telomere lengths during the early life of the birds are a strong indicator of their lifespans. The team found that telomeres from embryos with an old father were 10 percent shorter than telomeres from embryos with a young father. Paternal age did not have an effect on egg size, the number of eggs in a brood, nor on embryo survival. The researchers also bred 44 pairs of birds of different ages. They kept one bird from each brood and followed the lifespan from 2012 to 2017, finding that finches with older parents—mothers or fathers—had shorter lives, but that the negative effect of an old father was much more pronounced. Of the birds fathered by a pair that included an old father, only 5 percent survived to a year, whereas close to 80 percent of birds with a young father survived to the same age. 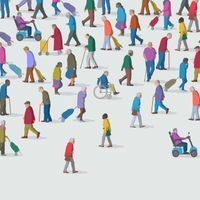 “This is a particularly well designed study that opens new avenues to study the paternal age effect,” says Tim de Meyer, who studies the genomics of aging at Ghent University in Belgium and was not involved in the work. It is not clear from this work that the shorter telomere length was directly responsible for the shorter lives of zebra finches fathered by old dads. “The study provides robust evidence that telomeres may be responsible for the shorter lifespan in the offspring, although it cannot be excluded that the paternal age effects on offspring lifespan are due to a global degradation of the germline genome, including telomere sequences,” writes Alberto Velando, also of the University of Vigo, in an email to The Scientist. He collaborates with Noguera on other projects but was not involved in this study. For Velando, the discrepancies between the human studies and these zebra finch results could be due to different mechanisms of telomere regulation in short- and long-lived species. “The difference could also be because only kids of older fathers with long telomeres survive. 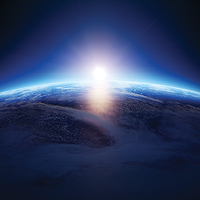 We need more studies to explain these mixed results,” he writes. Noguera is now conducting additional experiments to further dissect the role of both maternal and paternal age on telomere length in offspring, including studying the effects of older parental age on other aspects of the genome such as epigenetic markers and DNA damage. J.C. Noguera et al., “Experimental demonstration that offspring fathered by old males have shorter telomeres and reduced lifespans,” Proc R Soc B, doi.org/10.1098/rspb.2018.0268, 2018.